Optimized Core Services in ICT solutions by KDDI. Your global business needs reliable, resilient information systems, no matter the region or the challenging conditions. This is why KDDI created TELEHOUSE, delivering optimized global networks through over 40 data centers/sites in 23 cities. TELEHOUSE data centers are the safest, most secure facilities for any level of performance, wherever your business takes you. TELEHOUSE is expanding in Europe, Africa, the Middle East, North America, and Asia. We opened TELEHOUSE London Docklands West, TELEHOUSE Hanoi and TELEHOUSE Shanghai in 2010. In 2011, we opened TELEHOUSE New York Chelsea, TELEHOUSE Istanbul and TELEHOUSE HONGKONG CCC opened 2011. Our facilities feature cutting-edge technologies, and we plan to build more to expand our global data center presence. 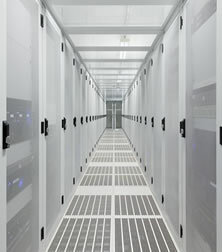 Carrier-neutral TELEHOUSE data centers offer customers a single expandable location connecting to multiple global carriers, local carriers, Internet exchanges (IXs), and Internet service providers (ISPs). High-speed networks link TELEHOUSE data centers for convenient connectivity. The number one TELEHOUSE priority is to ensure continuous and stable operations for customers' ICT systems. All facilities and equipment follow strict global guidelines, setting industry benchmarks for equipment specifications, operations, and security levels. TELEHOUSE also follows global guidelines for electricity, air conditioning, and fire detection facilities.